Council tax is something that most people will be familiar with. It regularly features in the news as governments do, from time to time, change the amount of money that is liable for Council tax. The problem however is that the rules governing Council tax can be difficult to understand. This guide sets out in detail everything that you need to know about Council tax. What happens if I owe council tax? 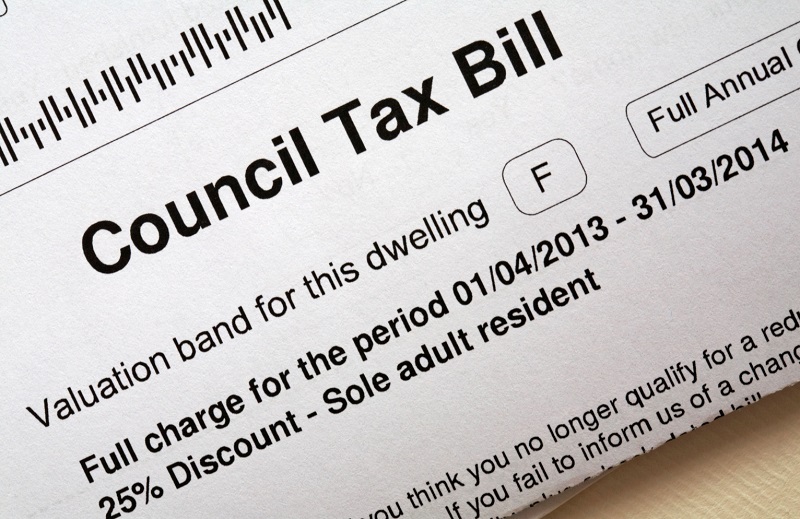 Council tax is tax that is applied by your local authority or city council. It is a tax that is payable on the property that you live in. Your home and everyone else's will be given a valuation banding by the Valuation Office Agency (VOA), based on the value of your property on 1 April 1991. The particular banding that your property is given will determine how much tax council tax you will be liable to pay. This information will be retained by your local authority in what is known as a 'valuation list'. It is impossible to give an account of every different rate of council tax, as each local authority in the UK will set a new rate of council tax for each valuation band every year. The owner of a property where no one is currently living. It is important to understand that there are certain exemptions and discounts available for council tax. However your ability to make use of these depends on your particular circumstances. Sufficient indoor space that allows the disabled person to make use of their wheelchair (if they have one). The decision to grant this reduction in Council tax lies with your local authority. They will need you to fill out an application form, and may also require supporting evidence to support your seeking a reduction in council tax e.g. photographic evidence, letter from your GP etc. It is important to be aware that if everyone living in the property is a student, then the property is completely exempt from council tax. The spouse, partner or dependant of someone who is a non-British resident student who is not allowed to work in the UK or claim benefits. The list of people that will be disregarded is quite extensive. In reality a lot of people will be able to enjoy a reduction of their council tax. It is not uncommon that you may find that where more than one person is living in a property, everyone may be a 'disregarded' person. In those circumstances, you will be entitled to a 50% reduction in your council tax bill. As mentioned earlier this does not apply to students – properties housing only students are exempt from council tax. You are the 'liable person' for payment of Council tax. You should keep in mind however that other things may be taken into consideration before you will be granted the CTR. Your local authority is unlikely to grant your application if there is evidence that you already have substantial capital (savings or property). Not be a joint owner/ tenant of the property. Your local authority will look into the second adult's income, and the lower their income, the higher the rebate. If you fail to pay within the next seven days then your local authority has the right to ask a court to issue a liability order. If granted this allows the local authority to arrange for your outstanding Council tax payments (arrears) to be paid by deductions from any benefits that you receive being made. Alternatively, your local authority may instruct court officers to seek payment of your council tax by taking possession of your property to the value of your outstanding liability. In England and Wales – a bailiff will normally, in the first instance, provide notice to you that they have been instructed to take possession of your property in payment of your outstanding council tax – this will also include the action that you can take to stop their taking your property i.e. negotiating directly with your local authority. Seven days following your being provided with a notice, bailiffs will come to your home with evidence i.e. a letter from your local authority, entitling them to come into your property and take possession of your property. In Scotland – in principle a Sheriff Officer can take the same action as their English or Welsh counterpart. However in practice it is quite rare that they will come into your home and take possession of your property for repayment of Council tax. Before they are able to do so, the local authority must be able to prove to the court that it has taken some steps to help you to make payment of your outstanding tax liability. It is only after this that they can, providing they have the necessary paperwork, use reasonable force to enter your property and take your possessions. This is called 'exceptional attachment'. In most cases a Sheriff Officer will provide you with some notice that they are coming to you to collect property. It is very important to understand that in order for Sheriff Officers to seize your property, there must be someone in your property who is at least 16 years old and understands what is going on. It is important to understand that local authorities have a significant amount of freedom to decide how they will collect your outstanding council tax liability. In most cases, they will seek to avoid the use of enforcement bodies where possible. In the first instance when you receive notification that enforcement action is being taken against you for payment of your outstanding council tax, you should contact either the Bailiffs or the Sheriff Officer, and see if it will be possible to come to some kind of arrangement for repayment. It is important that, if possible, you come to an arrangement that you can honour – even if this involves paying relatively small amounts of money over a longer period of time. The presence of large gaps between payments may mean there will be less likelihood of reaching agreement on this. Council tax is a tax on domestic property. The amount of council tax depends on the valuation banding given to your property, and the rate of council tax decided by your local authority for that banding. Not everyone is required to pay council tax. If you fail to pay Council tax on time, the local authority will take steps to secure payment. Local authorities have a great deal of freedom in deciding how best to secure payment of outstanding taxes – it is important to engage with them.